Easy Roads, available on Android, has over 80 route options and features for on-the-road assistance. Has road tripping always been on your bucket list? The time is ripe to tick it off. 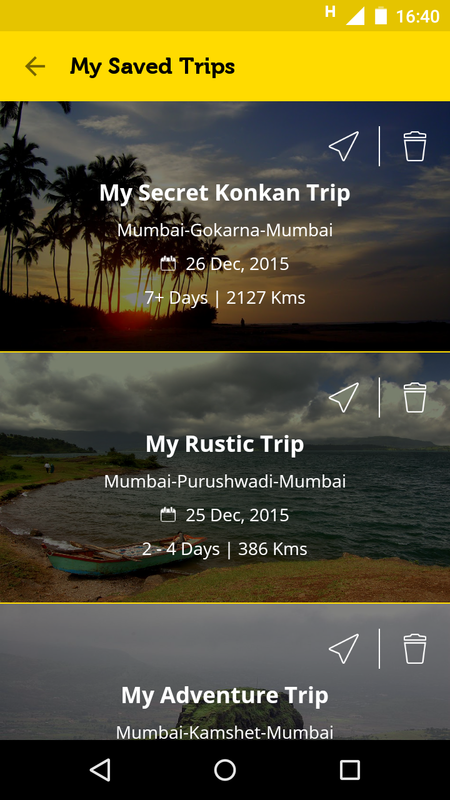 Scour through 80 trip options from Mumbai and Pune on a four-month-old app, Easy Roads, which offers road trip itineraries from Gir to Gokarna. Easy Roads offers theme-based itineraries too. The app has three sections: Discover, with a list of curated routes you can take, with information on pit stops, attractions and accommodation; Easy Reads, a blog with relevant information, from packing to playlists; and Car-o-Bar, for rent-a-driver, 24/7 roadside assistance and car check-up services. Read: Here’s how to travel the app way! Users can customise their own route and save a trip too, for rides that can last up to 10 days. For instance, you can choose specific activities based on your preferences and budget, such as a lion safari in Gir, scuba diving in Tarkarli or a Parsi food binge in Talasari. In July, the company plans to introduce activity-led packages, for users will be able to pay via a payment gateway. The packages will include a car rental, accommodation based on your budget and activities. “People often associate road trips in India with safety concerns, bad roads and lack of information. At Easy Roads, this is the misconception we want to change,” says founder Sachin Parikh, who has 13 years of experience in the tech-corporate world. Media professional Vinitha Shetty, 25, read about the app on Twitter, and took a two-day trip to Dapoli through it. “This was the first time I took a road trip — the app suggested that we stop at Panhalekaji caves and at a vada pav stall on the way — this really added so much fun to the trip,” she says. In the future, Easy Roads plans to add routes from across the country.